The science of identifying grape vines is called ampelography. There are approximately 5,000 varieties of grape vine identified thus far, with more than 20,000 names used to describe them. Ampelography uses physical characteristics as the method for identification of vines. Leaf shape, bunch shape, berry color, pips and shoot tips are some of the characteristics used for identification. Vitis vinifera is the most common commercial species of grape vine grown, and it has hundreds of cultivated varieties. 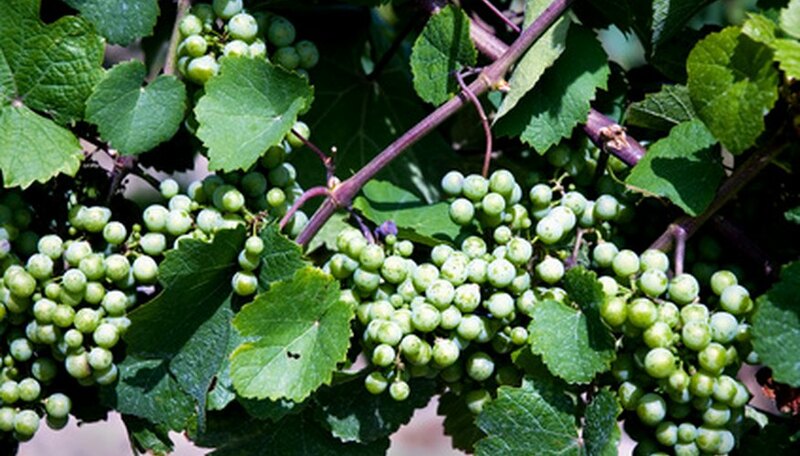 Grapevines are an adaptable plant that grows in a variety of soils from light sand to clay. They grow worldwide in the temperate climate zones between 20 and 50 degrees latitude. Look for leaves that face upward rather than outward because grapevines grow in an upward direction. They wrap themselves around man-made support structures and trees. Leaf shapes vary, but all have irregular, jagged edges and small tendrils growing from the stem. Muscadine varieties are native to North America and thrive in humid conditions. It is a popular commercial variety that ripens early. They have a thick skin that makes them more resistant to disease than many varieties. They are hardy and ripen from light green to a rich purple/black color. Good for the edible garden and used in combination with other grapes for jam-making. muscadine grapes have a long shelf life. This category of vines includes grapes that produce seeds and grow in very large clusters. It includes black Fredonia, concord, Niagara bunch grapes, and red Catawba. The red Catawba is used for wine making and as an edible garden fruit. 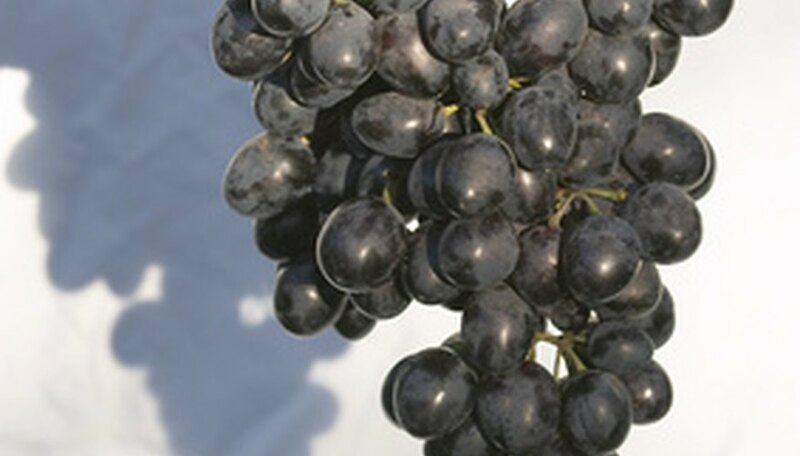 Concord grapes are a medium-size, dark blue variety popular for juice, table use and wine. It grows well in a wider variety of climates and soil condition than any other grape. 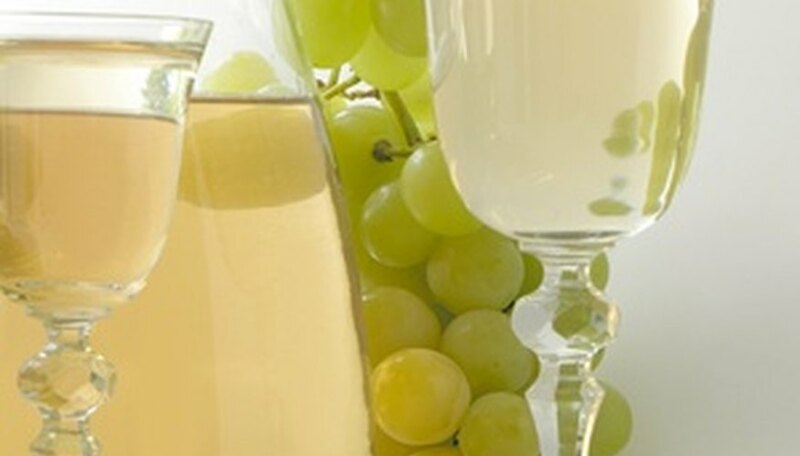 Seedless varieties now account for the majority of table grapes grown. 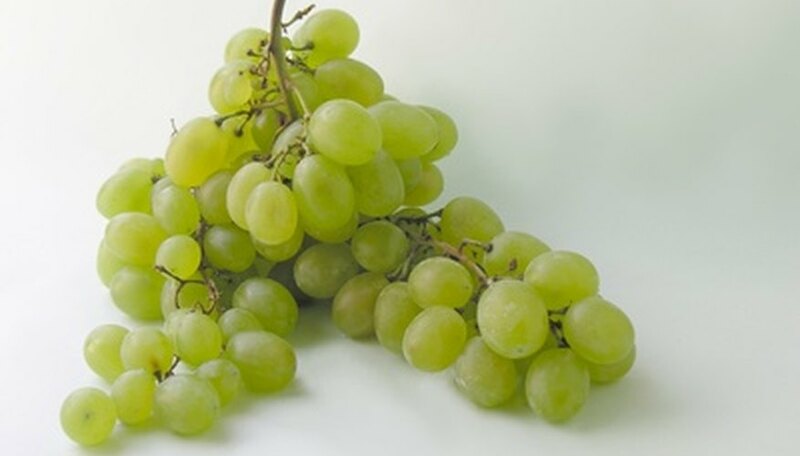 Thompson seedless grapes are light green, prolific and grow in large bunches. They’re the most popular grape sold in the U.S. market. They are easy to grow and don’t require cross-pollination. Red flame variety has high sugar content and is often used in wine. Fruit is firm and bright cherry red. Other seedless varieties are seedless concord, ladyfinger and summer royal. The most popular grapes for home wine-making are cabernet sauvignon, merlot, pinot chardonnay and zinfandel. All have a high sugar content easily changed into alcohol. Cabernet grows best in a very sunny environment. The heavy grape clusters are dark purple. Zinfandel is a red-skinned grape with large, full clusters and is also a heat-loving vine. 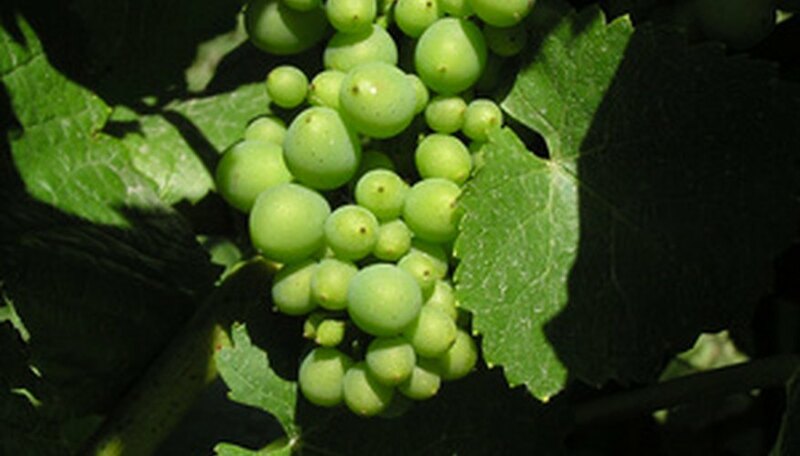 Pinot chardonnay is grown in dry climates worldwide for its very delicate flavor. The grapes are either green or medium red.